There are a number of things that must be understood when reading a Twin Galaxies high score list—Donkey Kong or otherwise—if one is to correctly interpret it. Twin Galaxies policy states that any given player can occupy only one space on the scoreboard for any given game/platform at any one time, and only for his highest-verified score. If and when a player eclipses his personal best and submits a new score, the old score will be removed from the board when the new one is added. First, it means that the top 20 scores on the list do not represent the 20 best Donkey Kong scores ever verified, much less the 20 best scores ever achieved. 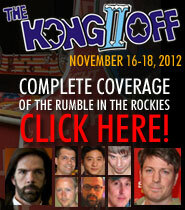 Billy Mitchell, Steve Wiebe, and Hank Chien, for example, have all reached verified and submitted million-point scores on a Donkey Kong arcade machine, but there are many more verified million-point games between the three of them that have since been removed from the list (which doesn't include the many UNverified games that were never on the list at all). The score next to each man's name is simply the best of his officially-verified scores. Among other things, this policy creates a situation where, under many potential causes and circumstances, players capable of a higher score may intentionally refrain from submitting it. 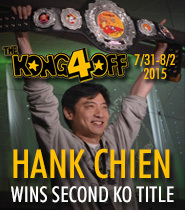 For example, Hank Chien has stated that his MAME Donkey Kong score of 897,400 from February 2009 holds sentimental value for him, as he reached his first-ever kill screen in this game. While Hank could easily beat that score today, he has chosen not to do so. If he did, the score (and the recording) would then be removed from the MAME scoreboard and replaced by the new one. Verifying a score with Twin Galaxies is not always easy. In fact, in the case of a Donkey Kong arcade machine, the standards are prohibitively (but understandably) stringent, outside of the physical presence of a Twin Galaxies referee—itself a stringent requirement! Much more is demanded nowadays than during the pre-King of Kong "Wiebe years" (which, evidently, was no cakewalk even back then). Many of the players occupying the top 20 spots have achieved higher scores than those that have been verified, but in contexts where Twin Galaxies verification was either not sought or not possible. Tim Sczerby has achieved million-point scores on several (documented) occasions, but these games were not submitted for Twin Galaxies verification. 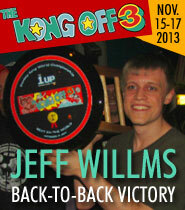 Billy Mitchell has "behind closed doors" perhaps exceeded his last submitted score. The leaderboard does not reflect this. In contrast to the above, there are other players who have achieved and submitted scores that came about purely by good fortune. There is a degree of randomness in Donkey Kong that, over the course of any one game, can work either for you or against you, sometimes to an extreme, allowing a player to achieve a score several hundred thousand points above his average. MAME submissions are especially prone to this phenomenon. Recording and submitting MAME-based performances is very easy, and any player who records every one of his games is likely to have an "outlier" at some point which he can then submit. A number of Donkey Kong players are known to exist who can kill-screen the game, or even score a million points, but whose names you won't see on the Donkey Kong scoreboard due to personal differences with the Twin Galaxies organization. Other players simply don't feel any compulsion to have their scores submitted and verified, particularly if their score would not rank highly. Hollywood actor and solid Donkey Kong player Will Forte once said, "it takes a certain type of person to register your Donkey Kong score." 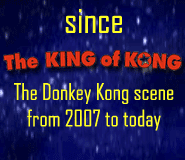 While a player capable of achieving a top 25 score on a title as competitive, prestigious, and notorious as Donkey Kong will likely submit his score, there are many, many players capable of mid-tier scores who would never think to bother with an official submission even on MAME, much less on an arcade machine. Having a machine and referee handy for a live performance is one thing, but it's a lot of trouble to record and mail to Twin Galaxies a tape of a mid-tier game just to be mid-tier on the scoreboard. There isn't a single game in the Twin Galaxies database (Donkey Kong included) where there's much of a fight over 50th place, or any fight at all for 100th. In fact, the very bottom of the list for any game can be occupied literally at will. Twin Galaxies doesn't demand a minimum score. You can play a game with your feet, or oven mitts, or attempted telekinesis, submit a score of a few hundred or thousand points, and be ranked "123rd in the world" at Donkey Kong, Ms. Pac Man, et al. It's different for every game, but the scoreboard rankings become fairly meaningless at a certain threshold, where most everything below it is occupied by the "vanity scores" of players who simply want to see their names on the list. Finally, there are players who may very well be ignorant of the existence of Twin Galaxies and don't submit their scores because they don't realize that there is a place to submit them. There aren't likely to be many elite players in this category, but the possibility exists, especially among non-American non-English speaking players. This isn't an exhaustive list of everything one should consider when evaluating a leaderboard, but it's a good sampling of the kinds of things to think about. The rankings are valuable in getting an idea of the competition pool, but they are far from perfect. I looked up Will Forte's score, and it's only 116,500 points. It makes me wonder if people who score 100K really are in the top 100 of Donkey Kong players, or if people who score that low don't even bother submitting their scores. I agree with the above poster. It took me about a month to break 100k from never playing DK before and given the small amount of effort I thought submitting a score was pointless despite it being free back then. Until I get the kill screen I will never consider myself worthy of any highscore entry. All good points. I fall in the camp where I can't be bothered to submit to tg. I play 1080 snowboarding, and I post on numerous sites, and most of these sites have reasonable proof policies. My thing is: I'm here to push games to their limits, have a good time, inspire others to try with me...not get bogged down with something that most people don't bother with. Thanks for this article. It really spoke to me.